Café Nice For Under $30—Yes Please! Exquisite French cuisine that is light and fresh: featuring ample olive oil, vegetables and seafood you say? This is exactly what is on offer at Café Nice, via restaurateur Barry McDonald of Café Sopra fame and the friendly influence of Fratelli Fresh's four other Italian venues. True to its name, cuisine from France's province of Nice has always been closely associated with Italy, and this is exactly what McDonald is trying to communicate to diners. "It's not what we're used to in terms of French food but translates well to an Australian setting. 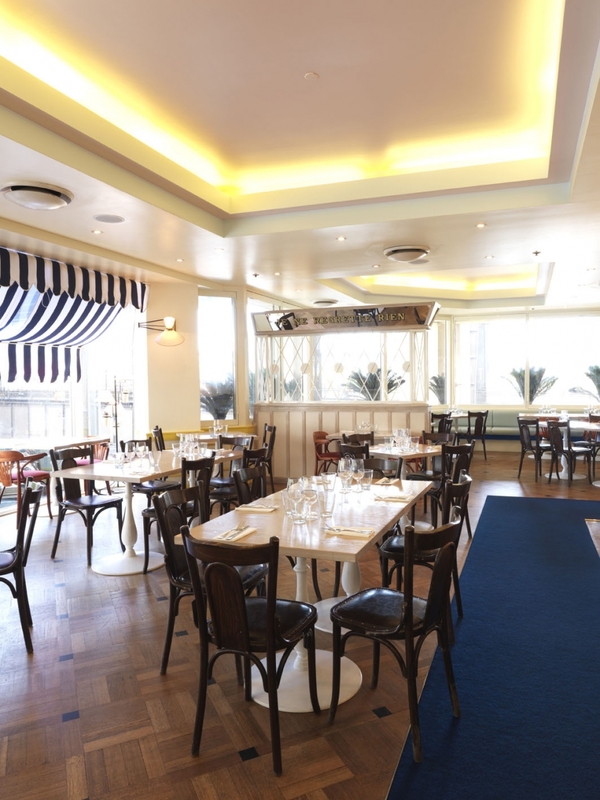 Café Nice is all about casual food, casual dining, beautiful light French wines and a bit of fun." And in aid of spreading the word, Café Nice, with its stunning views over Circular Quay and Sydney's Harbour Bridge, has just launched its delicious two-course and a glass of wine menu for $29.50. Perhaps an entrée of Wagyu bresaola with eggplant caviar and Reggiano could tempt you? Or White anchovies with braised peppers, olives, Reggiano and capers; instead of the calmars frits with aioli? And for plat principal why not try one of these temptations: risotto with saffron and mussels; whole rainbow trout pan fried with almonds; roast lamb rump with ratatouille and herb panisse; daube of beef cheek Niçoise with fettuccine; or the snapper filet with celeriac puree and tapenade. Then top this all off with a lovely drop of Fratelli wine, and don't forget dessert. The $29.50 menu is available Monday to Friday 12pm – 10pm and Saturday 5pm – 10pm in the bar area.